The authors spend a LOT of time talking about sociological characteristics with very little indication about how that relates to the subject. Want to know how many hierarchical levels there are in the military? In the Catholic Church? You'll know when you're done reading this. Interested in gender or racial biases? I listened to a little more than half way and finally switched to another book. Has Friend and Foe turned you off from other books in this genre? Would you listen to another book narrated by Tom Perkins? 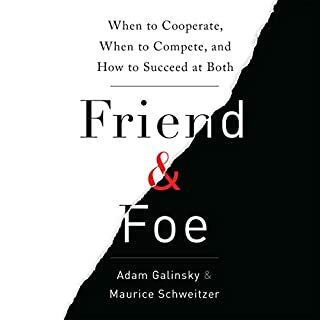 Did Friend and Foe inspire you to do anything? 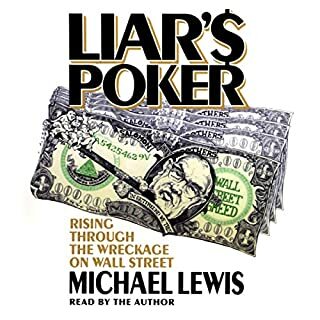 Would you consider the audio edition of Liar's Poker to be better than the print version? No. I didn't notice that the audible version is abridged; and I wish I HAD noticed. I wouldn't have bought it. I PREFER the author's voice, so that's a plus for me. As others have noted, the music is distracting, and I REALLY dislike that it's abridged. I wasn't looking for the Cliff Notes version!